Elizabeth A. Prosek, PhD, is a member of the American Counseling Association. She is an assistant professor of counseling at the University of North Texas. 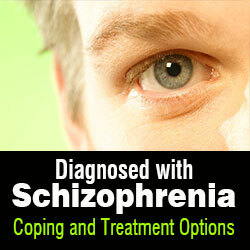 In her clinical experience, she counseled individuals diagnosed with schizophrenia. In academia, her research and teaching interests include diagnosis and assessment, vulnerable client populations, and treatment of mental health disorders. I was just thinking… delete this comment if you want; but, I have been diagnosed with schizophrenic features. Not a rash diagnosis, irrationally based on familial pattern of sociopathic digress. I think of it as a empathy driven disorder common to new England culture: An intrapersonal drive in its duty to closure. I really feel for those with schizophrenia. They need support and understanding.